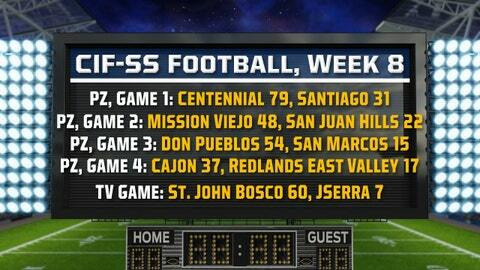 Week 8 of CIF-SS football’s a wrap. Check out the scores above of our four online and one TV game from Friday night. Click for full game recaps and highlights.